Looks exactly like I hoped it might; a gritty, 70s era thriller; Todd Phillips had said he wanted to make a peak-Scorcese crime epic, and he may just have pulled it off. I'm impressed and this has suddenly shot up the queue of DC/Marvel material I'm looking out for. Trailer doesn't disappoint. A good start. Joaquin Phoenix is an excellent actor. I think he is going to do the part justice. Really looking forward to it. Completely different kind of comicbook movie, definitely for adults I presume as it looks quite dark. Looks great but I don't get why he's dressing up to entertain people, I thought the clown persona was created after he went crackers? Genuinely excited for this. The trailer has done exactly what a trailer should do.......tease. Really high hopes for this. I've watched that trailer 5 times now. Looks brilliant. Phoenix is an excellent choice. If only they could erase that Suicide Squad from history. 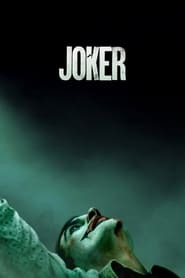 Absolutely brutal, and Leto's Joker is an abomination. This looks outstanding. Nothing supernatural. Dark and real.